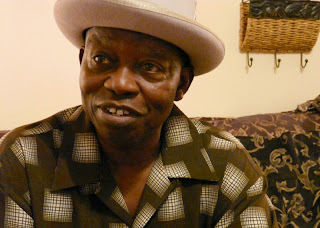 When we were first trawling for names of unsung rhythm-and-blues musicians, one of the recommended names that was unfamiliar to us was Tommy Singleton. A 66-year-old New Orleans native who drives an oyster truck for a living, Singleton (right) has been a regular on the city’s R&B scene for decades—starting with the Living Dead Revue, in which a tuxedo-clad Otis Redding sound-alike would sing from inside a casket. Later, Singleton was the vocalist for Ernie Vincent & the Top Notes, who frequently played the Ernie K-Doe’s iconic Mother-in-Law Lounge. Musical insiders knew Singleton well and loved his versatile voice. But he never recorded a CD, and many of his current gigs are neighborhood bars that don’t post their calendars in the newspaper or on the radio. When we caught up with Singleton, we understood why the phrase “The Fabulous” often precedes his name in gig announcements. 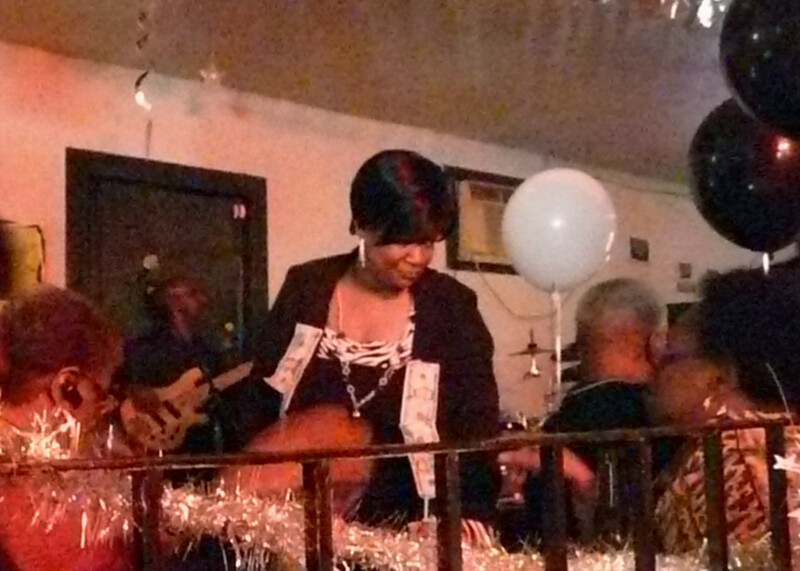 It was the anniversary of Tommy and Trina Singleton’s wedding, and some of the city’s R&B musicians had gathered at Joe’s House of Blues, a corner bar in the Central City district. Black and white balloons decked the main room, and (in keeping with tradition) friends and relatives pinned dollar bills onto Trina’s dress (left). In back, several men shot pool. There was free food for everyone—ribs and green beans and baked spaghetti cooked by Trina herself. Throughout the night, when Singleton was not singing, musicians like Rico Watts (a sometime Elvis impersonator) took the microphone to pay musical tribute to one of their own. Singleton’s voice that night was as honeyed as always. Unfortunately, it was too dark for video. But here’s one of the few Tommy Singleton videos that exists on YouTube. Here he’s singing with Irving Banister’s All Star at Margaritaville in the French Quarter.